In the period after World War II telephones and dial service became a priority for the nation as the telephone system became the primary way to connect people for social networking. 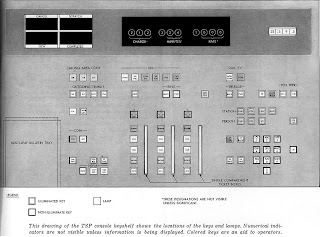 The building of new, more efficient switches and Operator Service centers became a priority for the Bell System and Independent Telcos to accommodate the rapidly escalating demand for service. A primary way of rebuilding the social, economic and political fabric of the country was by way of connecting people through communications as rapidly and effectively as possible. The United States was emerging from a long era of economic downturn and war. "Hello Operator? I'd like to make a call." The role of telephone operators interlacing the analog social web known as the telephone system cannot be underestimated. Without them, many connections could not be made and the call for those connections was skyrocketing. In order to handle the traffic volume, it became necessary to develop standardized methods and procedures for call handling consistency and calculated scheduling techniques, to meet the demands of service. It was a matter of efficiently accomplishing tasks in an analog, mechanical world operated by humans for customer satisfaction at a reasonable cost. The original customer service contact centers that we know today originated in telephone company operator service centers with methods continuously developed after WWII and institutionalized in the 1950s when Operator Toll Dialing was rolled out nationwide. Operator Toll Dialing was the original implementation of the 10-digit telephone area code and number system we use today. 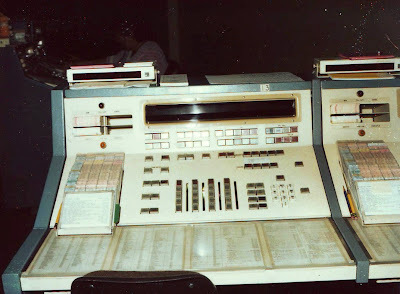 The telephone company Operator Toll Centers set the precedence for call routing to centralized locations and the attendant discipline within operations, required to treat common call situations consistently and staff at peak and trough times, and now the core of call centers today. Regimented operating practices were instituted for the most common types of calls handled and scrupulously monitored, to speed up call handling. This led to the widespread institution of what is now known as "Average Call Handling Time", Available Time" and "Actual Work Time," to shave milliseconds off each call to improve the overall financial performance of what are cost centers. With the onset of computerization and operator systems such as Traffic Service Position System (TSPS) and Traffic Operator Position System (TOPS) more data could be gathered to automate processes. The principles of centralization and standardization were replicated outside the phone companies, creating the call center industry. 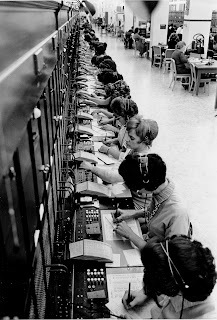 With each switchboard advance, computerized mechanization and automation of routine tasks, the groundwork was laid for contemporary call center operations.